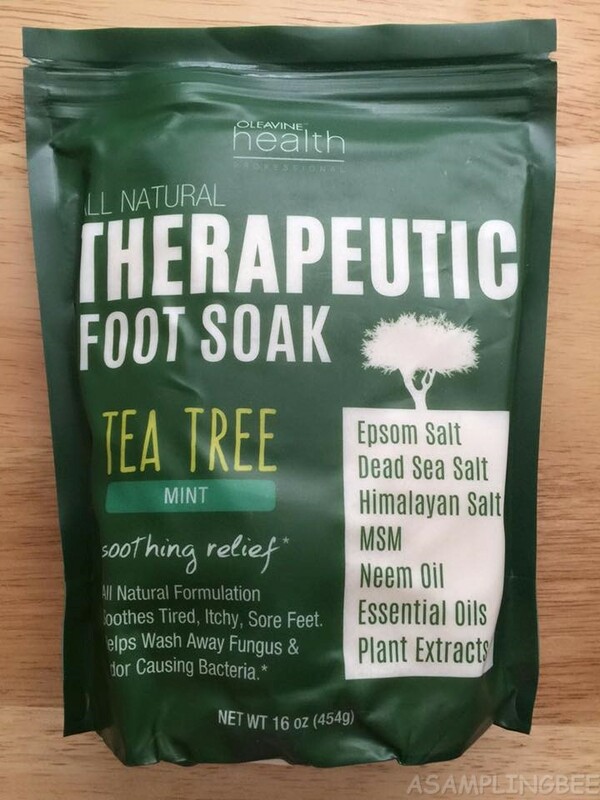 This Therapeutic Foot Soak is enriched with Tea Tree Essential Oil, Broad Spectrum Essential Oils, and Antibacterial Extracts. Including Neem Oil, Golden Seal Extract and Olive Leaf Extract. These have been used for centuries for Skin Discomfort. It's blended with Epsom Salt, MSM, and Trace Mineral Rich Dead Sea Salt and Himalayan Pink Salt. The Foot Soak helps provide relief. It helps soak away and defend against fungus and bacteria responsible for foot odor, athlete's foot, toenail infection and nail fungus, and other common foot and skin irritation. Ideal for smelly feet. The Therapeutic Foot Soak makes a great odor eliminator. 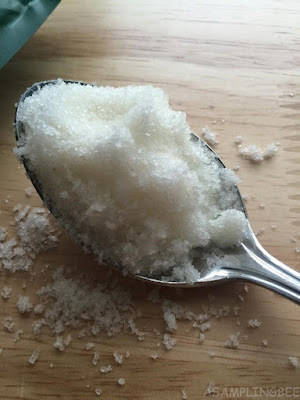 For a nice foot soak, you need 2-3 Tablespoons of salt (depending upon how strong of a soak you want). Added to warm water. Do not use hot water. Stir water by hand or using a large spoon. Let salt fully dissolve to activate the essential oils. Let feet soak for 15-20 minutes. Gentle enough for daily use. Ideal for Athletes, Military Personnel, or anyone that spends long hours on their feet. The mint scent of this foot soak is amazing! Not only does the foot soak make my feet smell good, but it makes my whole house smell good! 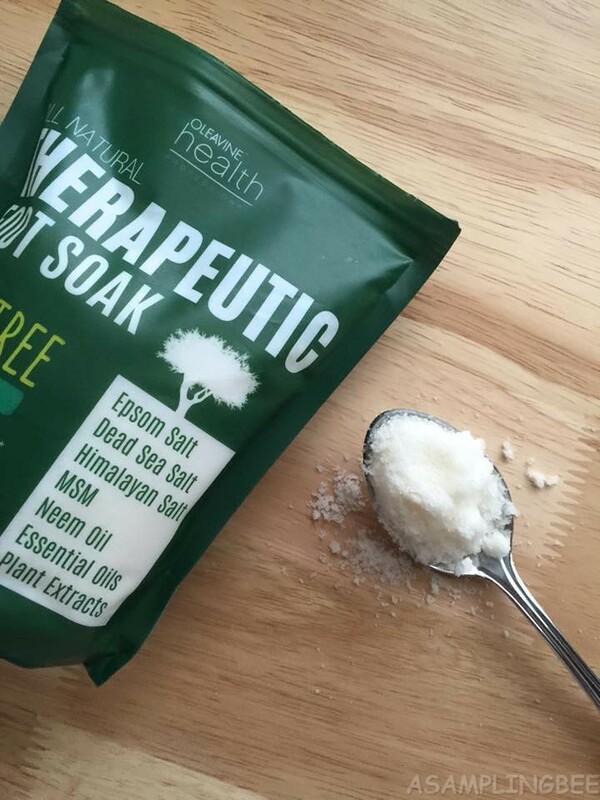 The foot soak is made of natural ingredients. So, it's gentle enough to use every day if desired. It moisturizes my feet as well as fights stinky odors. My shoes don't smell anymore. I have more confidence when it comes to foot odor. No one likes smelly feet! Soaking my feet is so relaxing and soothing. 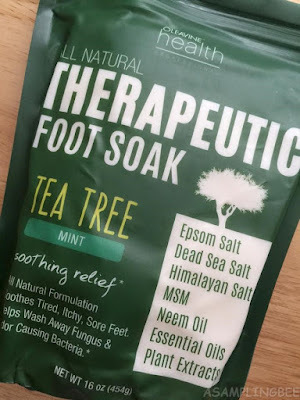 Smelling the minty vapors makes me relaxed :) I recommend this foot soak!